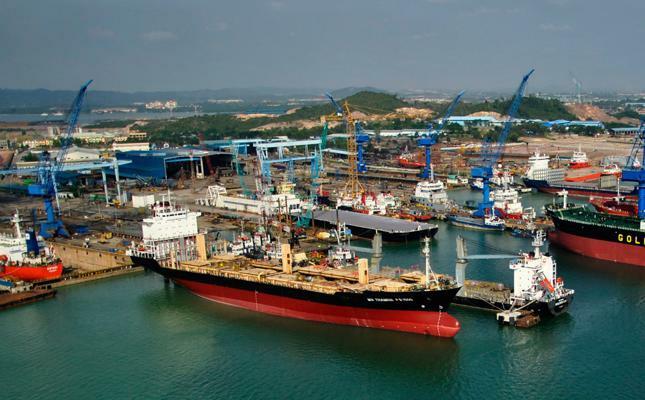 Singapore offshore services, shipbuilding and repair company ASL Marine Holdings has obtained majority approval from noteholders of its series 006 (S$100m) and 007 (S$50m) notes to extend maturity for three years. The notes were originally due in March 2017 and October 2018 respectively, but will now mature in March 2020 and October 2021. In exchange for the extension, noteholders will receive a coupon step-up with rates of 5.50% and 5.85%. ASL Marine will also conduct mandatory redemption of 2.5% of the original principal amount of each series at par with interest accrued, on every interest payment date starting in the third quarter of 2017. The extension means ASL Marine has fulfilled a major condition for it to drawdown on a 5-year club term loan facility of up to S$99.9 million ($69.4m) provided by a group of local banks. A condition of the loan was to to extend the maturity dates of the notes by a minimum three years. “The approval of noteholders was vital for us to materialize the financial restructuring plan in such a difficult market. It’s the trust and support from our noteholders, shareholders, financial institutions and our business partners, customers, suppliers and employees that help ASL Marine sail through the ups and downs. The significance of our noteholders’ decision today will always be part of ASL Marine’s history,” commented Ang Kok Tian, chairman and CEO of ASL Marine.